We had an amazing time! 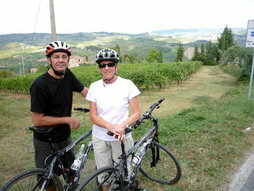 Another couple here took someone else's bike tour today and it did not sound nearly as great as ours!!! John Thompson, Washington, D.C., U.S.A.
Once again, thanks so much for a great day and a great ride. We’re back home now and still reliving the trip which was perfectly capped off by the day we all spent with you in Chianti. If you get to DC, be sure to let us know. 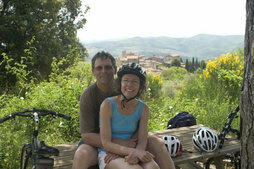 We can bike the city and make sure you see the sights from a local’s point of view. Harry Light, Little Rock, Arkansas, U.S.A.
We are back home, the soreness is gone and I just wanted to thank you for a fantastic day in Tuscany. I appreciated your patience and understanding and thoroughly enjoyed the day with you. I hope we can return soon. 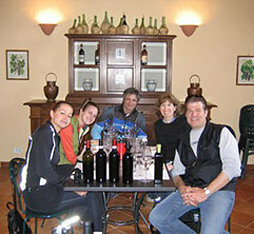 Just wanted to send you an email thanking you again for the wonderful excursion through Chianti country. The day was one of the highlights of our trip and is something that we will all remember. Thanks to both you and Francesco for making the day so memorable. PS. We tried the restaurant you suggested and the food was wonderful. Antonio took very good care of us.